The Republican and Democrat Parties are very similar in a number of ways. In Mississippi both parties are corrupt from the precinct to the State Executive Committee. Both parties grow the size of government which reduces your freedom and the dollars in your wallet. Both parties are controlled by a few powerful people that make the rules to keep themselves in power. Both parties want your vote but neither party wants your input or to be held accountable for their political agenda. Democrats want illegal immigrants for votes and Republicans want the cheap labor. Your tax dollars pay for education, health care, uninsured motorist insurance, prisons and other services while illegal immigrants limit your opportunities and put your freedom at risk. Democrats take our wealth to give to those that do not deserve it and Republicans give it to big businesses that don't need it. Both parties have office holders that tell you what you want to hear but when it comes time to vote they pass legislation that limits your freedom and prosperity. Both parties work to keep politicians in power with no accountability to hold them to the principles the Party claims to hold. The constitution of our representative republic works very well when it functions as it should. We need representatives that understand the state and federal constitutions and have the courage to use their power to protect our rights. This is accomplished by stopping the other branches of government should they exceed their constitutional authority. This has not happened for a long time and now we elect our rulers instead of our representatives. The Constitution Party has a better way of operating that will restore our prosperity, liberty and freedom. All party members will sign a pledge that they believe and support the principles of the United States Constitution, the Declaration of Independence and the Constitution of Mississippi. Members that work against constitutional principles, including elected officials, will be removed from the party leadership. 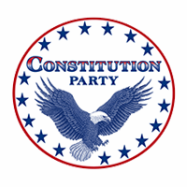 Only party members that consistently keep constitutional principles will be supported as a candidate for the Constitution Party of Mississippi. This will help keep the incumbent politicians accountable if they stop representing the will of the party members.